We can all look forward to longer lives thanks to advances in modern science. However, with degenerative brain disorders on the increase, Brain Awareness Week (BAW), a global event which, this year, runs from the 13th to 19th March aims to spread the word about progress in brain research and in the prevention, diagnosis and treatment of degenerative brain disorders and other health issues affecting the brain. To coincide with BAW, Ealing Chiropractor, Johan C Jeronimus DC DACNB of the Neuroworks Chiropractic Clinic has compiled three simple steps to help each of us take care of our brain health throughout our lives. Exercise improves memory and thinking. 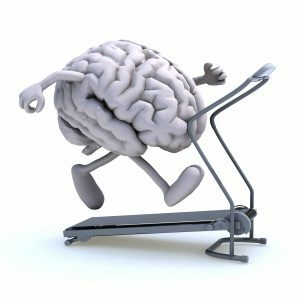 The direct effects of exercise come from the reduction of insulin resistance and inflammation and the stimulation of the release of chemicals (growth factors), that benefit the health of brain cells and affect the abundance and survival of new brain cells and the growth of new blood vessels within the brain. The indirect brain health benefits come from reduction of stress and anxiety and an improvement in sleep and overall mood – all of these areas are ones that can cause or be a contributory factor in cognitive impairment. Take care when participating in sport or other physical activity. It is important to protect your brain from injury with appropriate headgear. If you do pick up a head injury, no matter how minor it may seem, take it seriously and get it checked out promptly. Eating a healthy diet, drinking alcohol in moderation and considering some supplements to help make up any shortfall in nutrition can help to keep both the body and the brain healthy into old age. Antioxidant foods such as blueberries help to protect our brains against oxidative stress. Deep-water fish such as wild salmon are rich in Omega-3. These essential fatty acids are anti-inflammatory and are definitely essential for normal, healthy function of the brain. Consume Vitamin E. Nuts and seeds provide a good source of this essential vitamin and just one ounce per day can help to reduce the cognitive decline that can come with ageing. Eat healthy monounsaturated fats, such as those found in Avocados. These fats promote healthy blood flow and lower blood pressure. Eat whole grains that provide healthy fibre that can reduce the risk of heart disease. Having a healthy circulatory system helps to ensure that the brain has an adequate blood supply to remain healthy. Beans and pulses help to stabilize blood sugar levels. The brain needs glucose for ‘fuel’ and needs a steady stream throughout the day, stable blood sugar levels will help to ensure it gets what it needs. A modest amount of caffeine can help to improve memory, mood and focus. The best way to get this is from freshly brewed coffee or tea. Two or three cups daily is sufficient. Sufficient, good quality sleep, has a very positive effect on brain health and benefits for our mood, stress and anxiety levels too. When we sleep soundly, neurotransmitters within the brain are ‘topped up’ including Serotonin, vital for a feeling of wellbeing and in reducing feelings of anxiety and stress during the day to day activities of our lives. Being sleep deprived, has many negative effects including negative thoughts and emotions and the risk of developing serious depression. Do you have a niggling biomechanical problem that is preventing you from enjoying exercise? Do you need advice on diet, nutrition or supplementation? Are you stressed and finding it difficult to get a good night’s sleep? If you can answer “yes” to one or more on the list above, do not delay getting help! For the sake of your brain health, call your Ealing Chiropractor today to arrange an appointment on 020 8566 3757. Note: Neuroworks wholeheartedly supports the aims of Brain Awareness Week but is not affiliated with, or endorsed by the organisers, The DANA Foundation.